Today’s Swell Noël post features a darling idea from the Kristen of Capturing Joy for creating a special pillowcase for kids to use while those visions of sugarplums dance through their heads! New to the series? 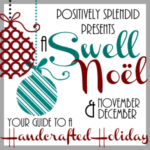 Catch up on all of the projects from the series by visiting the photo guide of all of the ideas shared by the talented Swell Noël contributors, and follow along as things happen on Twitter, Facebook, Google+, Pinterest and Instagram by using the hashtag #SwellNoel. Hi there! My name is Kristen Duke, and I am a lifestyle blogger/portrait photographer/beginner photography book author living in Austin, Texas from the blog, Capturing Joy. I met Amy last Spring at SNAP! conference, and it’s been fun to keep in touch with her since then! 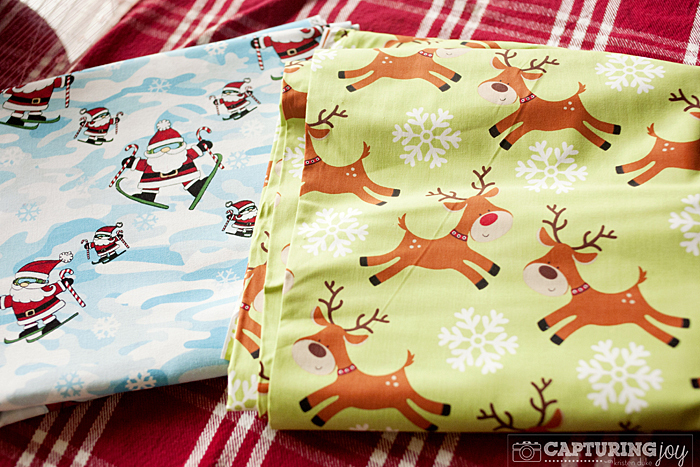 I am delighted to share with you our new family holiday tradition: our Kids Christmas Pillowcase. I’m not sure if the idea is new to you or not, but it’s new to me! 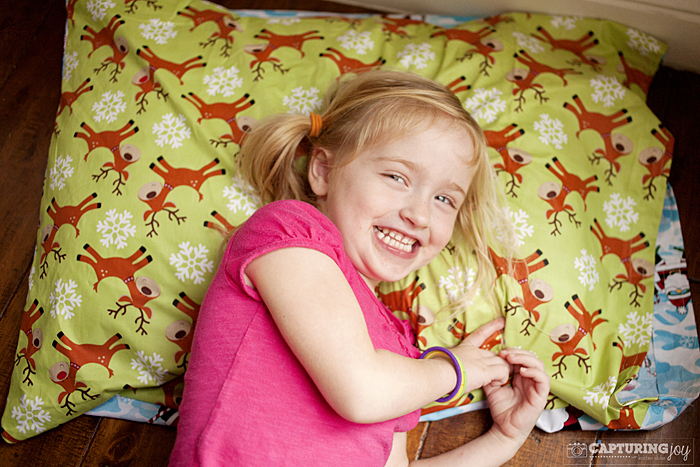 I just heard about it a few weeks ago, the idea that kids get to pull out a festive pillowcase that is normally stored in the attic with other holiday decor. They slip it on their pillow for the month of December, then pack it away after Christmas so it will be just as fun to pull it out next year! 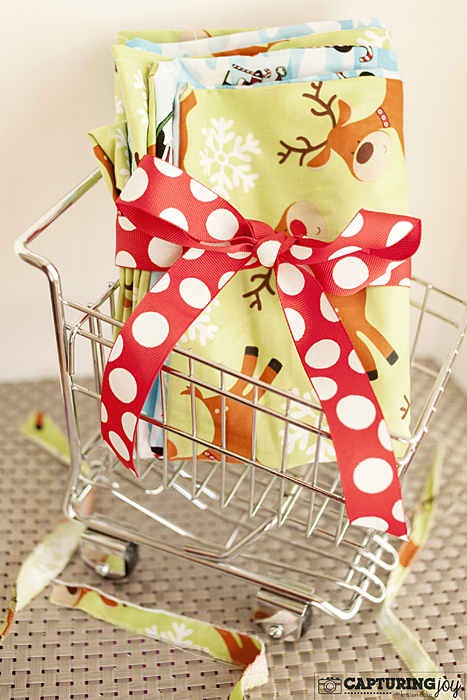 I ran out to the store to buy fabric, and as I stood there perusing the Christmas fabric, I had to make a decision. Is this for ME, or is this for MY KIDS?!? If it were for me, I’d get chevron, polka dots, and pom pom trim in the holiday colors. But since it was for my kids, I went the Santa and reindeer route. I have 4 kids: 2 boys (10 and 12) and 2 girls (7 and 3). I couldn’t decide if I should make them all the same, or each a different pattern, but then would they be sad if they didn’t get one that the other got? My youngest was in the store, and made the decision for me, which was a blessing and a curse. She was adament about THIS Santa and reindeer fabric. I’ll admit it wasn’t my favorite, but I reminded myself it wasn’t for me. When I got home, I asked my seamstress mother the right size to cut the fabric for a standard pillow, and she said 22×30. So I took her word for it. I probably should have ironed this, but I didn’t. 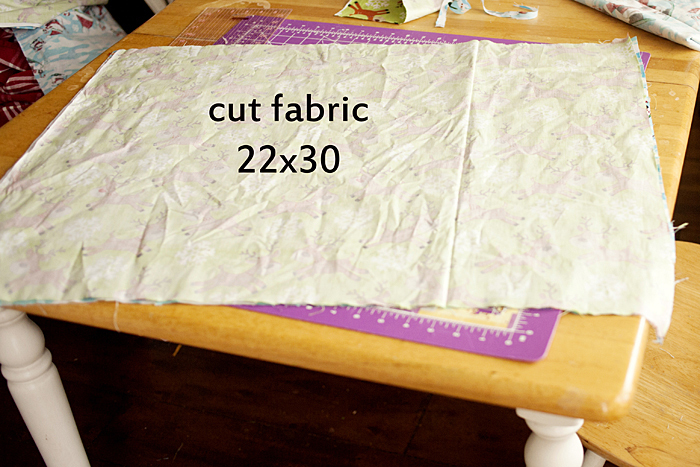 I flipped the fabric so that the patterned sides faced each other, and cut 4 big rectangles. (By the way, I bought 2.5 yards of each fabric). Now, I did NOT take after my mother in the seamstress category. I cut, and sorta sew straight lines, that’s it. This is why I thought I could totally whip this up myself–simple! Once I cut, I pinned 3 sides and sewed up the sides with not so straight lines. 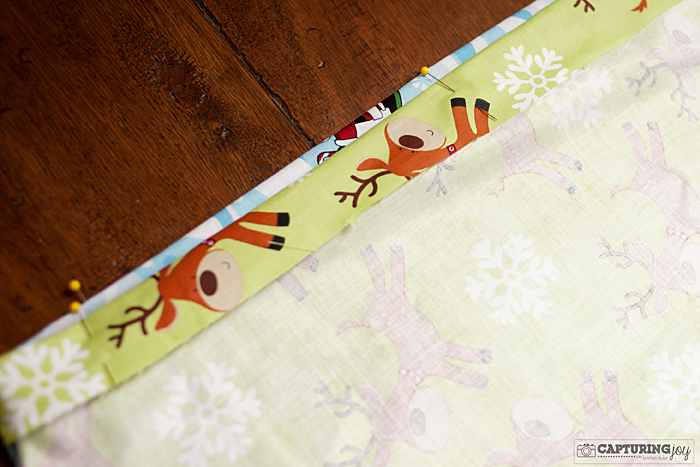 Then, on the open side, I flipped it over an inch or so, and hemmed the top. The other kids haven’t seen them yet, I’m going to give it to them tonight as a surprise! Hope this can be a fun new tradition in your family as well! 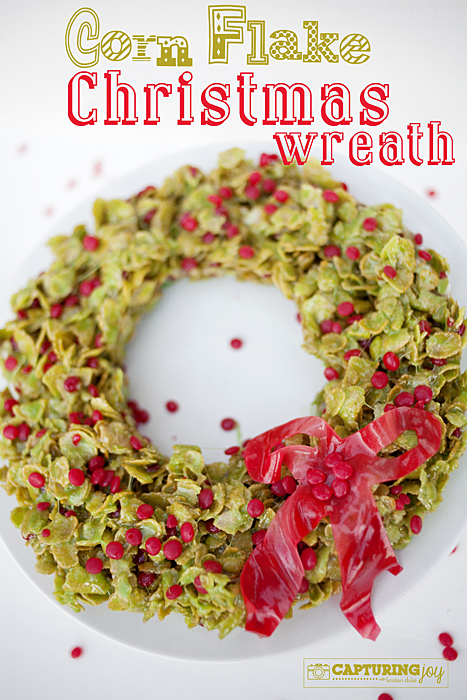 If you’d like more Christmas inspiration, I’ve added my favorites to my sidebar, including this Corn Flake Wreath, Bokeh Holiday Photography tips, as well as Christmas school lunch jokes. If you’d like to follow along via your favorite social media site, you can find me on Facebook, Twitter, and Pinterest. Such a cute idea Kristen! I made my kid’s birthday pillow cases when they were little. They used them the week of their birthday. Thanks for sharing! 🙂 I like your daughter’s taste in fabric. What a cute way to add holiday cheer to a room. I admit, my daughter has no Christmas decor but I think I could whip one of these up!